It's my pleasure to write this letter to thank you, Kelly Li our listing agent, for all your hard work in selling of 66 Glendower Circuit, Scarborough, in Nov 2014. Thanks a billion, in your case, certainly is not enough! We knew Kelly for a while since she’s the most famous listing agent in my area .Even my next door neighbor’s property was sold by her in 2013. I asked her questions about selling before I even start working on a moving plan, just curious about the best time to sell a property, the marketing, the price etc. Kelly is very professional patient and efficient, she explained me everything base on her experience and give us lots of great suggestions. But due to our personal reason, we decided to work with another agent, which is our friend to help us to sell our property. Unfortunately our property was listed on the market for 3 weeks but didn’t get any offer. I have to get back to Kelly and ask for her help. To be honest, I am so afraid she won’t take my case. But the first thing she told me is “I am here to help you, we will work it out”. She put a lot of effort on my house staging, cleaning… and makes the house shinny again. Within 3 days my house got multiple offers and sold with good price without conditions. Kelly Li is really experienced in the real estate business. 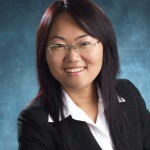 Kelly Li is recommended for any home owners who are thinking of selling/buying properties. We are extremely happy to work with you and if there is any need in the future, I will call Kelly for sure.